I did it. I bought a Blu-Ray and HD-DVD player yesterday… then I bought a couple of Blu-Ray video discs earlier today (Superbad and Stranger Than Fiction, two movies I absolutely love). 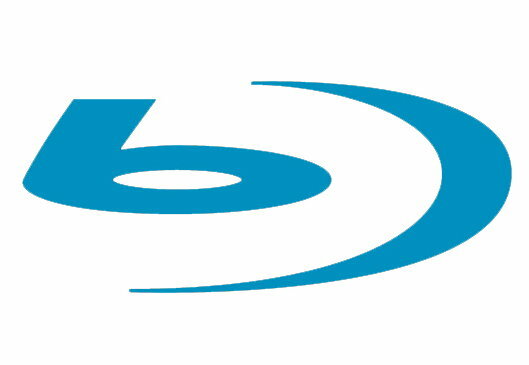 So I’ve started looking at the current state of Blu-Ray software playback, and I feel exactly like I did 10 years ago, when I had to manually patch the Xine DVD plugin to be able to watch movies. Except that things look even worse. I haven’t even taken the Blu-Ray discs out of their plastic yet, and I’m already scared nothing will work. I don’t mean having the disc start automatically, seeing the nice menus or accessing interactive features, because I already knew I wouldn’t have any of those for a while (if ever). I mean simply being able to watch the movies I just bought, on my big screen TV, while sitting comfortably in my living room couch. But I’ll try. From what I understood, I need to extract and decrypt the movies to my hard drive, which is not even yet possible for the most recent movies since it’s done with a compromised software player key which has now been revoked. Hopefully the two I’ve bought should be old enough… but I’m glad I decided to leave Wall-E for later as it’s apparently too new. Update (2009/01/09) : Ripping to disk was nearly trivial using dumphd 0.6 and aacskeys 0.3.6. That’s 44GB to disk at 10-20MB/s for Stranger Than Fiction, with mplayer reading the m2ts files just fine. The next challenge is to get subtitles working or at least ripped. Update (2009/01/11) : AACS fun! I inserted the Superbad disc and it apparently updated a revocation list contained in my Blu-Ray drive (an LG GGC-H20L), so I now get a nice message saying The given Host Certficate / Private Key has been revoked by your drive. (Certificate typo included) even when trying with Stranger Than Fiction again. The worst part is that this is apparently easy to circumvent… using a proprietary and commercial program called AnyDVD HD or using an existing software player and hammering to get the Volume ID (which is what my drive is now refusing to give back). Of course all existing licensed software players run on proprietary Operating Systems only. The bottom line is that as of now, I cannot watch any purchased High Definition movie on my home equipment. No more Blu-Ray purchases in the foreseeable future for me. Update (2009/01/12) : Back in business? It seems like there is a patched firmware for LG and Plextor drives, including mine, which can be applied from GNU/Linux (downloading a correct mfc42.dll and using wine as root), which bypasses the authentication to get the Volume ID from the drive. Neat! All details are in this doom9 forum thread. Will try. Update (2009/01/13) : The patched firmware worked fine. I was able to rip and watch Superbad. The flashing executable didn’t detect my drive until I had a disc mounted with a ~/.wine/dosdevices/d: symlink pointing to the mount point. Then it asked to have the disc removed, which I did, and it finally ran. It did end with an error message, which was worrying, but everything then worked, so the update was in fact successful.